One visit to Flanders is all it takes to realize that it’s an amazing, diverse and opportunity-filled place to live. Within shouting distance of world-famous leisure destinations and full of culture and beauty itself, Flanders prides itself on its top-notch educational system, healthcare system and standard of living. With up to 75% of health care costs reimbursed in Flanders, healthcare isn’t simply excellent – it’s affordable too. Inhabitants of the region can freely choose their doctors and specialists, and medication is simple to obtain. Find out more about the world-class healthcare available in Flanders. Education begins at 2.5 years old in Flanders, and it is either free or very low cost. Not only is primary and secondary school of high caliber; Flanders’ universities rank among the best in the world, and the region is home to some of the best and brightest minds in science and technology. Get the details about the educational system of Flanders. It’s obvious that the people of Flanders love life – and all of the pleasures, experiences and relationships that come with it. They are well-educated, healthy, happy citizens who enjoy the excellent lifestyle of the region. 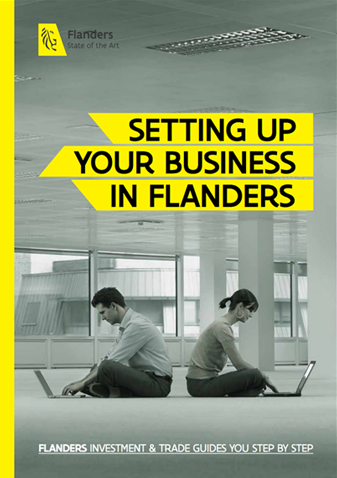 Find out more about Flanders’ high standard of living. From Bruges to Brussels, Antwerp, Ghent, Leuven, Hasselt and everywhere in between, the cities, towns and villages of Flanders are known for their beauty, charm and vibrant ambiance. But beauty is more than skin-deep: Flanders is also home to excellent universities, world-changing institutions and global enterprises, as well as famous museums, events and works of art. Learn more about the cities and towns of Flanders. Meticulously preserved and restored, the cities and towns of Flanders retain their ancient charm while still offering all of the benefits of modern society. Living in Flanders means living right around the corner from delicious food, interesting pastimes and rich culture. Learn more about Flanders’ rich culture and leisure opportunities. Flanders is an ideal place to live, work, play, raise a family – and it’s completely affordable, too. Some of the most famous cities of the world, including Paris, Oslo, London and Tokyo, don’t even come close to the quality of life enjoyed in Brussels and other cities in Flanders. Find out what makes Flanders so great, yet so affordable.